Evo & Grace: The WanderLusts: Caredivas, A Musical Tribute To OFW. 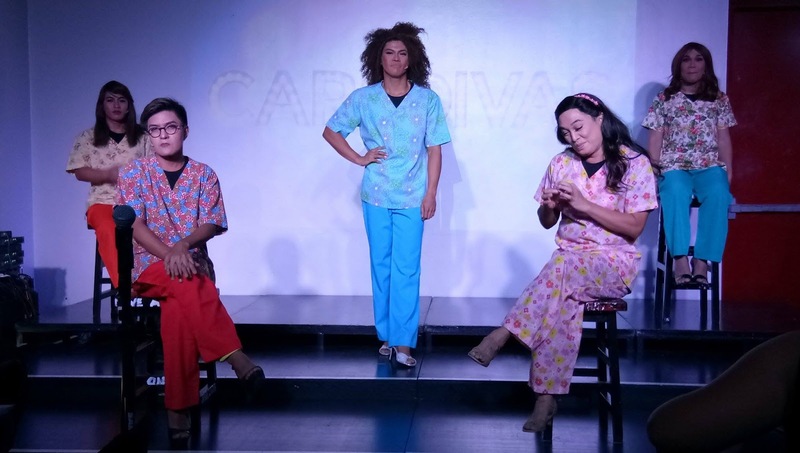 Caredivas an original Pinoy hit musical, is set to hit the Philippine Educational Theater Association (PETA) stage once more, in partnership with Overseas Workers Welfare Administration (OWWA). The special run that will pay homage to Filipino workers is part of its 35th anniversary, celebrating the unsung heroes of the country. This Filipino musical originally premiered in 2011 was artistically and creatively helmed by two extraordinary females, directed by Maribel Legarda, current PETA's Artistic Director and playwrighted by Liza Magtoto. This gay themed musical was the recipient of 2011 PhilStage Gawad Buhay awards for Outstanding Musical Direction, Outstanding Musical Production and Outstanding Musical Ensemble Performance. It tells the story of five Filipino gay CAREgivers in the morning and DIVAS in the evening, set during the conflict ruling of Palestinian to Israel. Their stories depicts and narrates the journey from the Philippines and to present Israel. Struggling financially and culturally in a foreign land is a crossroad, symbolizes in the eyes of these modern caredivas. After staging Karaoke Dreams in 2008, a musical comedy about Filipino migration, Caredivas, a musical drama this time is PETA's follow-up. Leading the cast are Vincent de Jesus and Ron Alfonso as Shai, the sarcastic leader of D' Nightingales, Gio Gahol, Jerald Napoles and Ricci Chan as the bubbly illegal migrant worker, Melvin Lee as the loving and kind employer Chelsea who has everything, Dudz Teraña and Jason Barcial as the ditzy Thalia and Thou Reyes and Phil Noble as the ill-tempered Jonee. Supporting cast includes Myke Salomon as Faraj, David and Daniel, Paul Homme and Leo Rialp as the club owner, Isaac, Moshe and Yaakov, Joan Bugcat and Gold Villar as Nonah, Eric dela Cruz and Don Miclat-Janssen as Avi, Aryeh and policeman, Sherry Lara as Sarah and Adara and Eko Baquial and Joseph Madriaga as part of the ensemble. 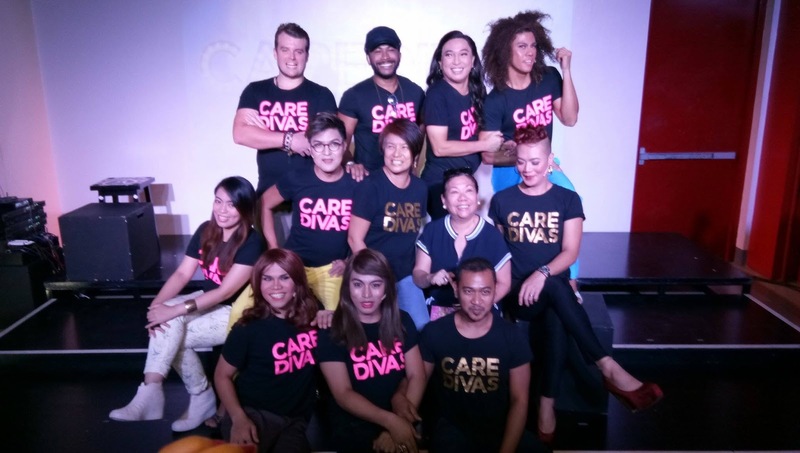 The Cast of "Care Divas 2017". 3. The post should made public. 4. The top five entries with the most number of likes will win five complimentary tickets to Caredivas and a special gift pack. 5. Announcement of winners will be on June 24 at PETA Facebook Official Page. Labels: Filipino Musical Theater, Flipino original musical play, Philippine Musical theater.